Because of its small size Kima Global can offer individualized attention and care to its authors. The company ethos is to honour the light in all individuals by operating our business in accordance with the highest possible standards. We are always interested in viewing new manuscripts, prospective authors need to visit at our Getting Published page. Nadine May is the partner of the publisher: Robin Beck and performs many tasks including illustrations, book cover design as well as managing most of the social networks together with Robin Beck. Nadine is known as a visionary fiction author Nadine May and has published four novels and a mind drawing workbook on The Language of Light. Through her creative writing she explores the different social, spiritual and financial structures that might or might not work in order to move the global population into the next phase of evolution. 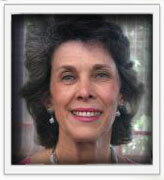 Jivanda de Jong is our Author’s website and data base administrator. She lives in the Netherlands. Since July 2008 I have been administrating the social network sites of The GoldRing of Enlightenment, of which Nadine is a moderator and Robin a member, where we virtually met and our friendship started. I’m a fill-in radio host for The GoldRing Healing Fountain Radio Show. In my professional life I had experience with system administration in the local hospital, database management at the local town hall, teaching software programs, etc. It is my wish to help improve and maintain the Kima Global website to the best of my abilities. I will be happy with any comments, ideas and suggestions from our members/authors. Do not hesitate to contact me! Linda Smith presents our list to bookshops in KZN. Hello, I am looking for a book that I would like to buy. It is called Nature Spirits and what they say, interviews with Verena Staël Von Holstein, and edited by Wolfgang Weirauch. Please let me know if I can buy it through you. I tried going to your website, but it didn’t load. I see now that this is dated June so please ignore my message above.